When most Americans shop, they do it at big department stores or online at popular websites. Private equity is the antique shopping of the investment world. When most Americans shop, they do it at big department stores or online at popular websites. It’s a predictable experience, with nationally known brands selling at competitive prices. Exploring antique shops, on the other hand, appeals more to the adventurer. Will this be the day the antique hunter spots a mahogany dresser whose value has been obscured by years of dust and neglect? You could compare these shopping experiences to the difference between buying publicly listed stocks and investing in private equity. With apologies to Gertrude Stein, a share of IBM is a share of IBM is a share of IBM. 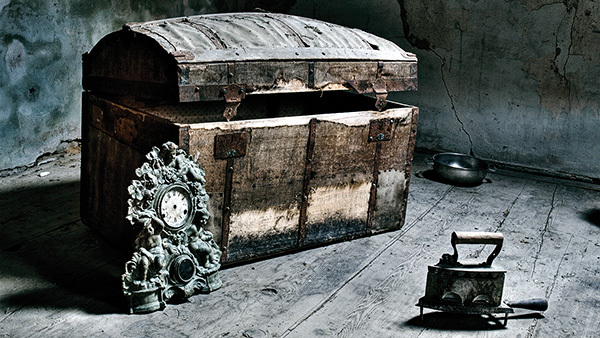 Private equity, by contrast, is more unique, complicated and unpredictable—more like finding the neglected piece of furniture that, in the right hands, could become a treasure. Private equity could be considered one of the pillars of alternative investments. However, hefty minimums, illiquid holdings, long lock-ups and keeping track of capital calls have kept private equity off-limits to mainstream investors. No surprise then that institutional investors have accounted for the bulk of assets in private equity, while very high-net-worth individuals, people who can meet $5 million-plus minimums, have made up the rest. So, how do these investors access private equity? Institutional investors typically access private equity through primary, secondary or co-investment opportunities. A primary investment is an investment in a newly offered private equity fund in which the majority of capital has not yet been “put to work” and portfolio holdings are largely unknown, except for strategy or geographic focus. A secondary investment is an investment in a more mature private equity fund (which was once a primary investment) in which capital is largely invested and where there is greater knowledge of portfolio holdings. A co-investment provides an investor with an opportunity to invest alongside the private equity firm through a direct investment into a single portfolio company. Today, regular Joe and Jane investors want the potential to share in the impressive returns that private equity has historically provided to endowments, foundations, pension funds and other institutional investors. Past is not prologue, of course, but private equity’s track record puts it among the best-performing asset classes. The Cambridge U.S. Private Equity Index, a well-known index for this asset class, shows a $1,000 initial investment made in April 1986 rising to $39,852 as of September 2014. Over the same period, the same $1,000 investment in the S&P 500 Total Return Index would have been worth only $15,914, according to Cambridge Associates. Perhaps more noteworthy is that this outperformance was accomplished during the tech wreck and Great Recession. Times are changing. Private equity was previously reserved for the select few. Today, however, the possibility of higher returns and potential diversification benefits of private equity are becoming available to a greater number of investors. As with all alternative investments, private equity is not suitable for everyone. As always, we are reminded that past performance is not indicative of future results. There is no guarantee that any investment will achieve its objective, generate profits or avoid loss. Private equity funds involve the risk of loss of principal and should be considered speculative. An investment in private equity is subject to liquidity risks and volatility. Still, done right, underperforming companies could be the retail investor’s next find.